The heatwave sounds really bad. This article is about tributaries of the large Murray-Darling river system drying up. Thousands of dead fish at Menindee. Meanwhile, in Western Australia, the ABC has reported that as many as 2,500 camels have been shot in the Goldfields region, as they come in from the Gibson desert to congregate around water sources on remote stations. 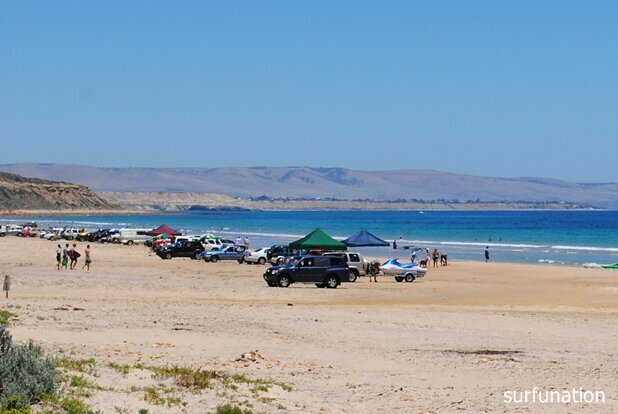 Lived at Aldinga - early seventies, and Sellicks was the go. Those stinking hot nights and days that run for 7 to 10 days Skinny, would see us down, sleeping on the beach with a few aristotles - stunned everytime by the night skies, even more on moonless nights. Yes. Distressing scenes from Santa Theresa, east of The Alice. Dozens of dead brumbies (feral horses) in a dried up waterhole. The camels I could care less for - never got along with 'em. I know that's camelist. But the horses, there's just something closer about them. Poor buggers. Ever spot anything incongruous up there? I'm outside for every clear dark sky I can get these days. No weirdness yet. The beauty and meaning up there is very special. I'm getting closer to something all the time. Learning the lores. What pisses me off hunck is that at the headlands of the tributaries to the Murray Darling, they're measuring flows of 1,000+ mega litres every 24 hours but by the time it passes the major cotton farms it's down to Zero. And a map of where the cotton is grown - notice the great reduction of flow where cotton is grown in contrast to the headlands...A heads up. The Macquarie river flows through Dubbo (My shopping town) at 2,250 mL every 24 hours...that is 495,000,000 Gallons of water flowing every 24 hours past one point in the river. Within 200 kilometers of travel, that flow is less than 1mL (220,000 gallons) per 24 hours. needless to say, it travels through cotton country. The real problem is that the rivers stop flowing and pool. We then have a rain event of, maybe, 1/2" of rain which washes point and none point nutrient loads into that localised part of the river. Temp is around 25C, No flow, suspended sediment, nutrient load and BOOM! Cyano bacteria blooms appear. Microcystis usually. Neurotoxic to any multicellular being. A prevailing aspect of Australian Summers. I reckon that this life is just Kindergarten. Tempted to move to the Australian portion of Antarctica. Anything other than this heat! Tempted to move to the Australian portion of Antarctic. Anything other than this heat! My wife and I drove today from home in the Southern Highlands of New South Wales to Beechworth in Victoria. It was 39 degrees when we left at 10.30 am getting to a maximum of 43 along the way. It's a cooling 38 here at the moment at 5.48 pm. Phew. The Huon's been on fire for a month so far. Rain!! For fx sake. This is Tassie! We've got a big one going just 30ks south of my place too. 32 units on the scene. Cool change on the way directly, but we've had zero rain for 6 weeks now and record temps. They wanna get this one under control in the next 36hrs before it heats up properly again. All that and there's a major catastrophic flood and unending torrential rain in Townsville. 20,000 evacuated 2 days ago, more today. So you think you'd like to visit Australia? Might suggest May when the place gets back to normal. You're right, wouldn't want to be in Townsville either. They reckon hurricane force winds and more rain are next on the horizon for the town. Keeps things interesting though. Still, things aren't all bad here. We were driving along the Great Ocean Road at Wongarra a few days ago and this daredevil was casually strolling along the side of the road without a care in the world. Yes, a cyclone is a possibility. Poor bastards. The southerly's finally up here now. I can smell the smoke. This is potentially good. It means the fire will likely blow back over its burn path and be easier to manage. There's a special place in heaven for all the firies, no matter which country they're in. God bless 'em all. Absolutely. 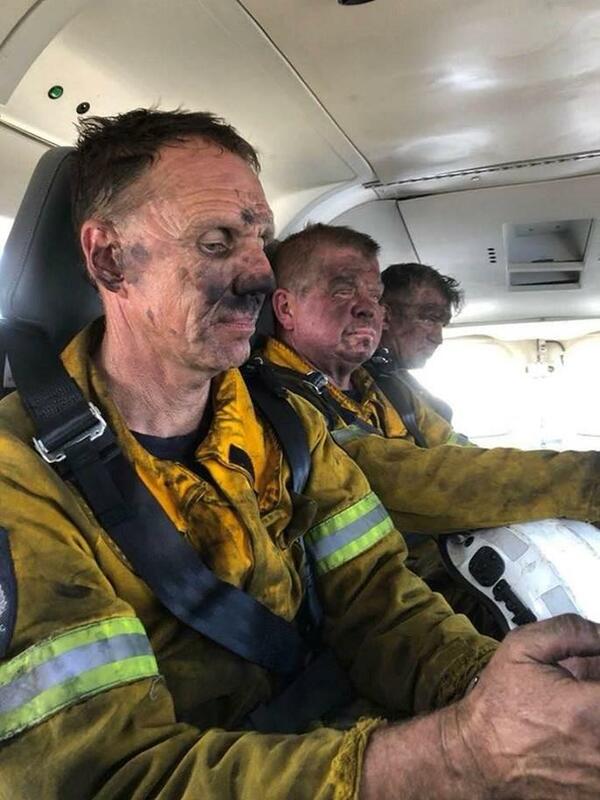 I have a couple of mates in the local rural fire brigade back home and it's a remarkable job that they all do. I'm not quite sure that people realise just how much risk they put themselves into everytime they go out on a call. Where we live there's quite a number of memorial fire sheds & buildings, which says something doesn't it? Two thumbs, never knew that. I have two thumbs as well. Strewth! I won't be visiting Townsville anytime soon. More than 1,100 people have been evacuated from the town amid a "once in a century" flood. On Sunday, the city authorities released a dam which had swollen to double its capacity following a week of record rainfall. Authorities have said more heavy rain is expected in coming days. Only getting to 29 degrees today and quite cool at the moment. It's overcast and a smell of smoke. Might be drifting over from Tasmania again. How far apart are the flooded parts & the heatwave part? A report re the flooding said at one point they had 16 inches of rain in 24 hours. Bloody hell. We never do anything by halves in Australia, but I think it's time we sent this up!! Night before last it was 91F at 22:00, here, at Peak Hill - but Townsville is nearly 2,000 K's away, North. There's an 8 year drought going on between here and there. Bad bushfires in Tassie, 1,400 K's away, South. It's a Big Country Hunck. I listen to cricket on BBC Radio - most recently the Big Bash and the Australia/Sri Lanka Test.